We're still on a food truck high after the spectacular success of the #FijiWaterLimeTruck pop-up with Chef Daniel Shemtob last week, so kudos to Kerbside Gourmet for organizing yet another food truck pop-up, this time with Chef Edward Esmero of My Little Spanish Place. 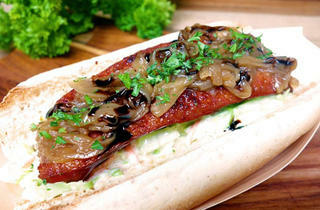 Dig into his famous chorizo sliders (pictured) and pastry cigars, and Kerbside Gourmet's popular bak chor mee sandwich. 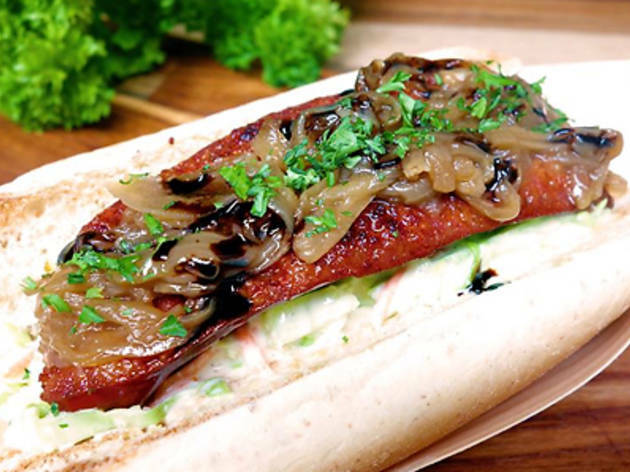 Part of the Singapore Night Festival 2014, the food truck will be parked on Queen Street just outside the Singapore Art Museum for two Saturdays running.